Cradle your pride and joy in safety and comfort. The outer covering of this 61-key keyboard carrying bag is heavy-duty 440D twill nylon to lock out dirt and spills. Inside, foam padding absorbs the bumps of normal handling. Edges and handles are made of thick parachute webbing for extra strength and durability. 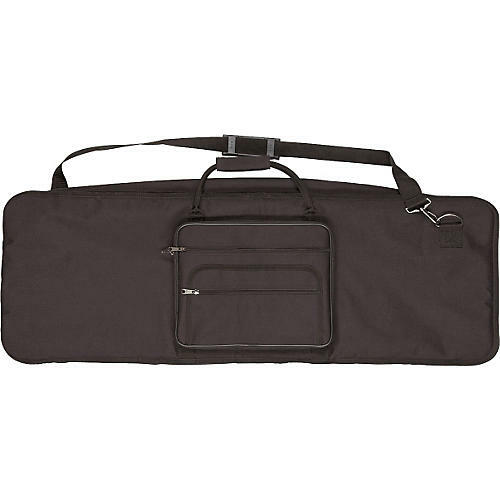 The keyboard gig bag has a carry handle, shoulder strap, and double jumbo zippers. Interior dimensions: 42.5" x 7.5" x 15.5". Click or call to order this nicely priced bag!